Your journey to Northern Arizona is through the Sonoran Desert to the red rock country of Sedona, known for its fantastic art galleries and colorful scenery. Travel in a comfortable vehicle that seats no more than 14 passengers for an intimate and personal experience. 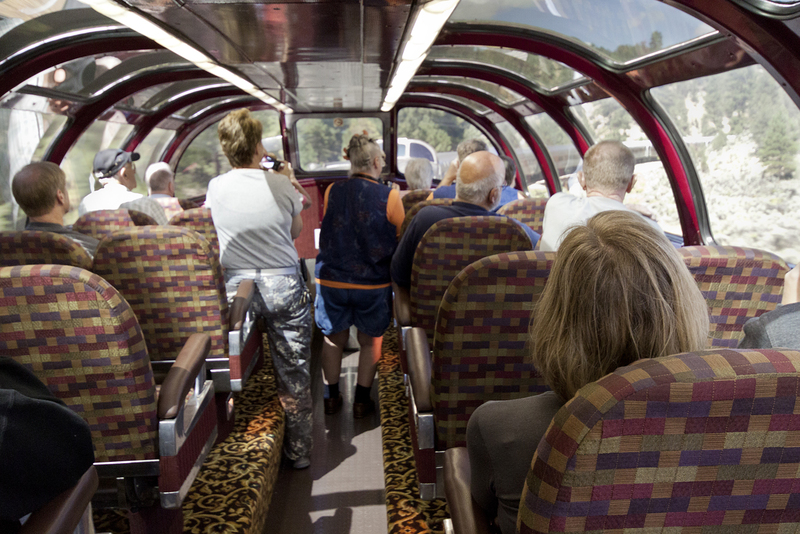 The tour is fully narrated by some of the most experienced guides in the Southwest. We will make frequent stops for photo opportunities at great scenic sites, stretch your legs, and for bathroom breaks. In the morning you will take a 2-1/2 hr. 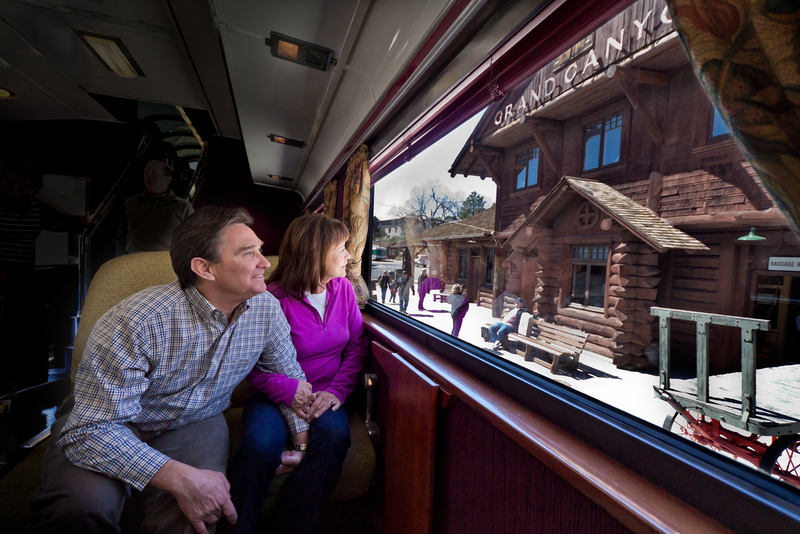 narrated tour to some great scenic sights and vistas. During the afternoon you will be on your own to explore historic Uptown, Tlaqupaque shops, or gallery row... plenty of things to do. Or choose from various jeep trails to get you up and close to the red rocks at great prices. Overnight at the historic Kings Ransom (equivalent to a Quality Inn). They have a large outdoor pool and jaccuzzi, Southwest Restaurant on site, nearby hiking trails, and walking distance to various shops, galleries, and restaurants. Although we typically have preference to availability, on occassion we may have to use an alternate hotel. We will notify you in advance if this does occur. Before you return to the Phoenix area, a brief stop at the Navajo Reservation where you will have a chance to shop for authentic Native American souvenirs at the Historic Cameron Trading Post. Pickup time on Day 2 in Sedona will be at approximately 7:30AM but our staff will let you know exactly when you check-in to Sedona. Kings Ransom hotel does have a an award winning Mexican restaurant on site, Elote Cafe. They are open for Dinner Tuesday through Saturday and do NOT take reservations. The Kings Ransom does offer a free continental breakfast daily. Lunch on the train will be a box lunch that includes a sandwich, potato salad, chips, and a cookie. Water will also be provided by your guide. A vegetarian option available upon request. 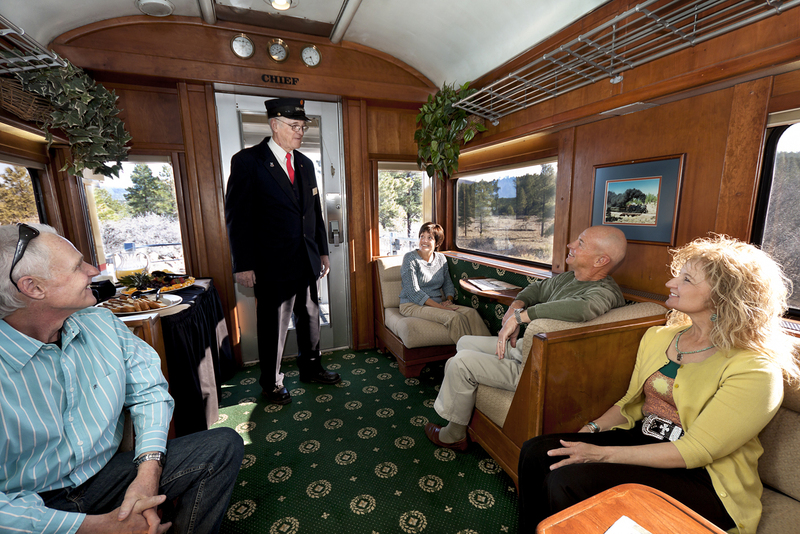 This gives our guest the opportunity to have lunch during their train ride to the Grand Canyon so upon arrival while all others a rushing to the long restaurant lines our guests are fed and ready to enjoy the magnificent views of the canyon. 1 Night Hotel Accomodation in Sedona. Per person cost is based on 2 Adult double occupancy.